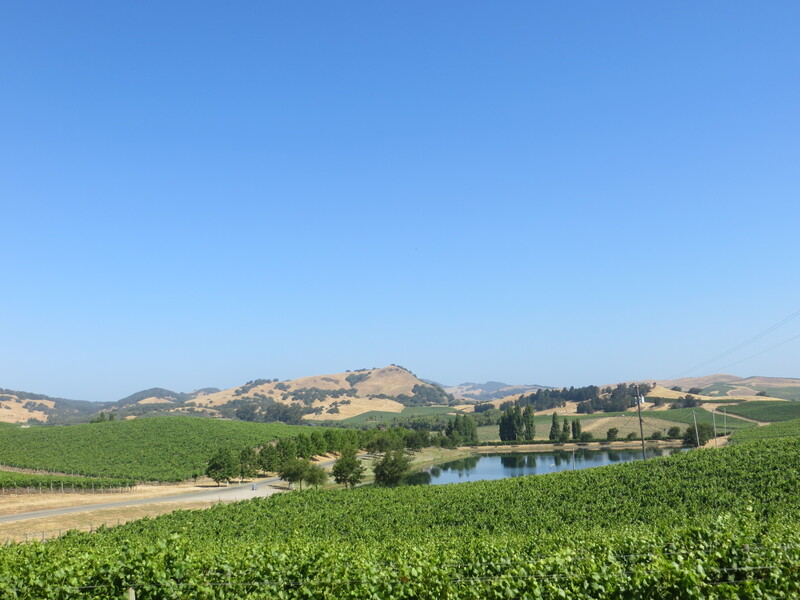 I’m running a bit behind again on this feature, but here are my wines of the month for June and July. They both come from famous Australian producers, but serve completely different purposes at remarkable price points. While summer remains, I’ve provided a recommendation of a young wine from Peter Lehmann that is ready to drink now along with your choice of grilled meat. After dinner, pop open an affordable bottle of spicy port from Penfolds. Cheers! 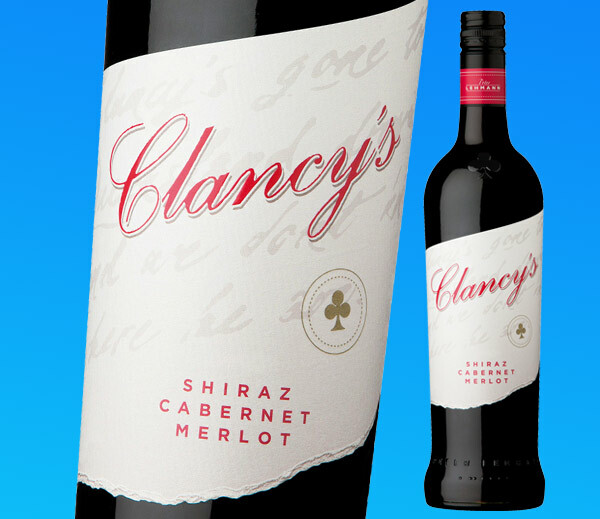 Peter Lehmann Clancy’s Red Barossa Valley 2009, 90 Points, $15- Exotic aromas of brown sugar spice, licorice and dark plum fruit. Incredibly soft and smooth on the palate, delivering a ripe core of plum, date and red licorice, with a streak of cracked pepper running through it all. Long finish. Cabernet Sauvignon, Merlot and Shiraz. 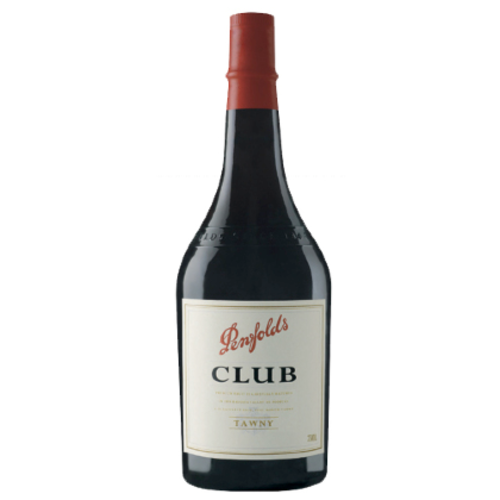 Penfolds Club Tawny Port Australia NV, 89 Points, $10- Unique for its spicy body of caramel, this delivers a creamy texture of dried raisins, toffee and vanilla bean laced with cinnamon stick and sweet walnut flavors. Rich and spicy through the long finish, and a great value port. Mataro, Shiraz and Grenache. 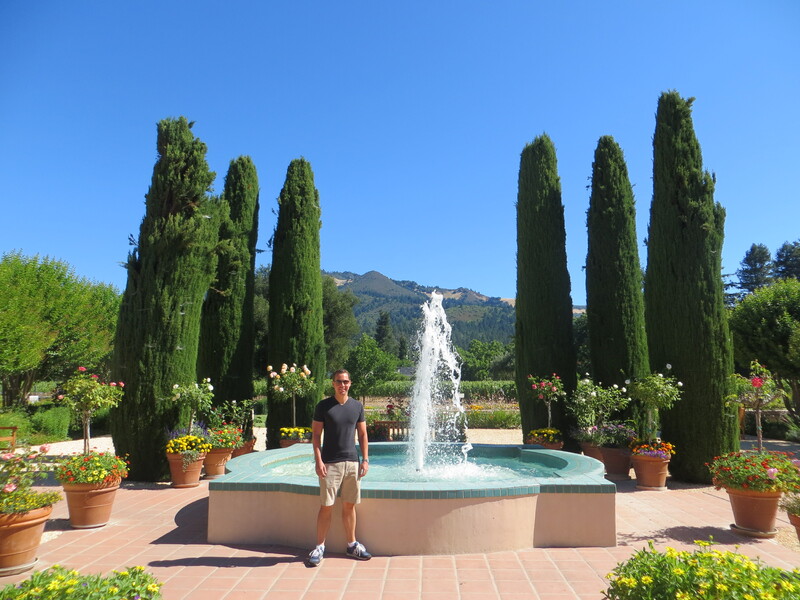 I spent the first week of July in Sonoma Valley, a tradition I was happy to rekindle after having to miss my summer trip last year. 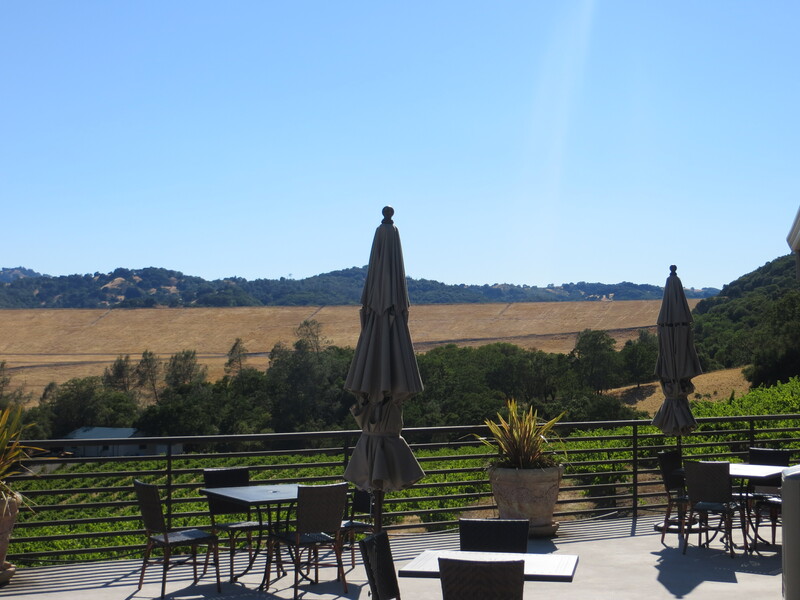 While any time of year is glorious in its own way in wine country, the late sunsets and predictably perfect weather, not to mention one of the best 4th of July celebrations in the country on the historic Sonoma Square, make mid-summer one of the very best times to visit. 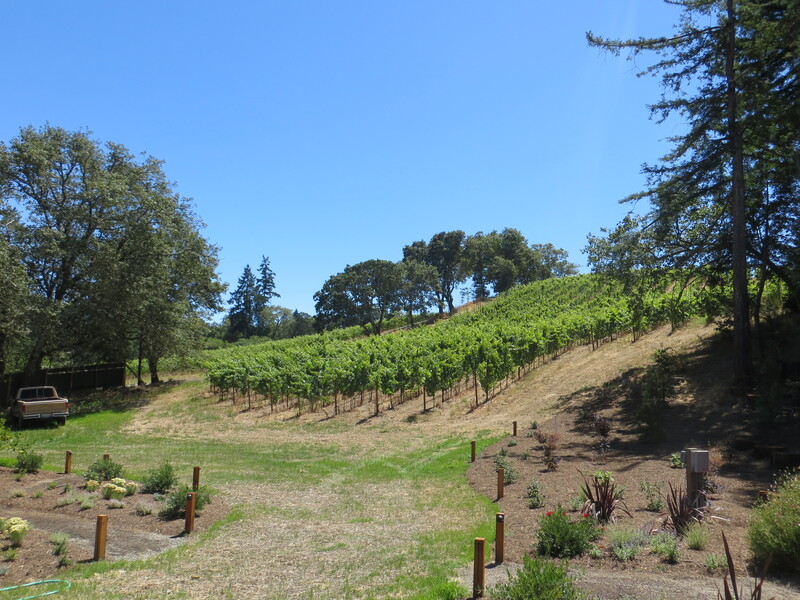 In four days, I visited 18 wineries and tasted nearly 100 wines, focusing my attention on four completely different appellations: Sonoma Valley, Sonoma Coast, Dry Creek Valley, and Napa Valley. 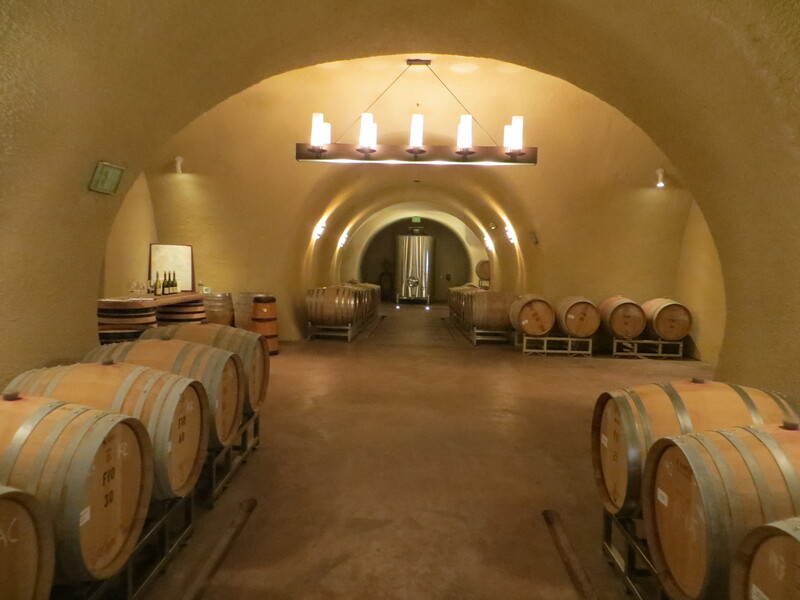 A surprising amount of these wines earned commendable scores on my 100 point scale, as 50 wines scored a 90 or above. 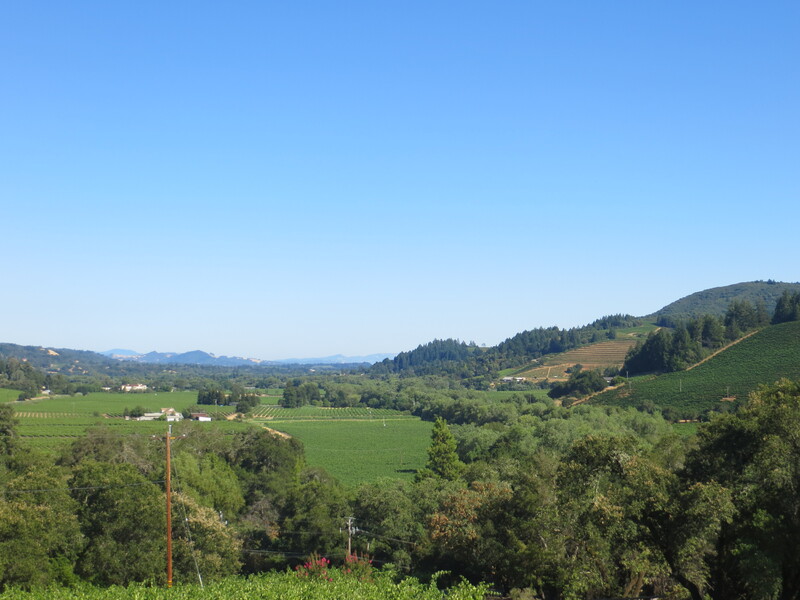 I’ve broken down the best of the best based on varietal, and being the eternal value-seeker that I am, I have broken score ties by ceding the higher ranking to the lower-priced wine. Here’s my full recap. 1. 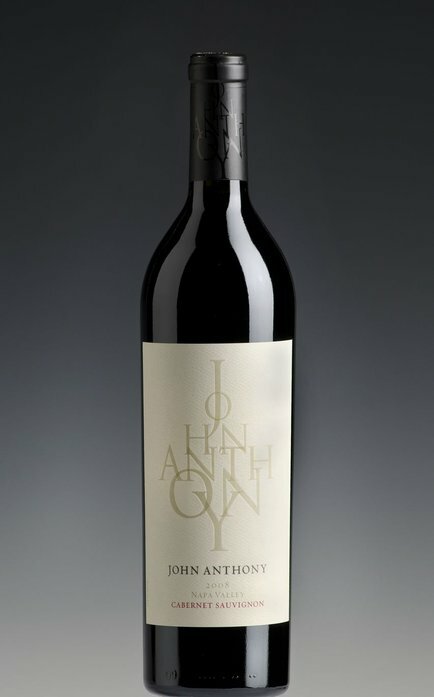 John Anthony Cabernet Sauvignon Napa Valley 2008, 94 Points, $65- Brown sugar spice, mocha and black cherry cola aromas. Soft, silky texture, loaded with exotic Asian spices and hints of clove that expand into lush cherry, raspberry and red currants. There are massive undertones of chocolate and orange peel spice. I love the texture and complexity here, the finish is long and spicy and goes on for minutes. Redder fruit than I expected, but polished and elegant, with multiple levels of flavor. 2. Adobe Road Cabernet Sauvignon Bavarian Lion Knights Valley 2008, 94 Points, $75- Aromas of black olive, soy, black currants and cocoa powder. Thick and full-bodied but not chewy, with spicy blackberry and black licorice fruit dominated by creamy layers of dark chocolate, olive, cedar and mocha spice. Rich and intense, with an incredible spicy finish that goes on for minutes. 3. Kamen Cabernet Sauvignon Sonoma Valley 2005, 93 Points, $75- Texture-wise, this has benefited from some bottle age, but while maintaining its complex black olive influences and explosive, almost inky plum and blackberry fruit. The texture is key, as tannins have softened gracefully and to perfection, and the dark fruit and cedary spice linger forever. My highest scoring wine ever from Sonoma Valley. 4. St. Clement Cabernet Sauvignon Armstrong Ranch Napa Valley 2008, 93 Points, $80- Intense aromas of café mocha and black cherry. Velvety body of deep, rich black fruit notes that are backed heavily by bitter chocolate, mocha, root beer and clovey spice. Creamy finish lingers long, with soft and silky tannins. Terroir expressive. 5. Adobe Road Cabernet Sauvignon Beckstoffer Vineyard Napa Valley 2008, 93 Points, $95- Aromas of dark plum, black cherry and black olive. Very elegant and polished on the palate, evolving from its black cherry cola and plum notes into dusty cocoa, finishing with cedary spice and lingering long. Very smooth and elegant, but not as powerful as the Bavarian Lion. 6. Honig Cabernet Sauvignon Napa Valley 2009, 92 Points, $40- Expressive aromas of oak and cocoa bean above cassis fruit notes. Rich and plush with is ripe blackberry and black cherry fruit, leading into layers of toasty oak, spice and lingering with chocolate hints. This is very elegant and silky, even more focused than usual. Long finish, with cocoa bean lingering with firm tannins. 7. Hall Cabernet Sauvignon T Bar T Ranch Napa Valley 2008, 92 Points, $50- Explosive aromas of blackberry jam, black cherry and undertones of tobacco and chocolate. Rich and chewy, with juicy blackberry and cherry fruit that deepens as it expands on the palate, layered with complex smoke, cracked pepper and chocolate spice. Packed, with a long, firm finish. Almost ready to explode, but needs time, and will be perfect by a chiminea. 8. St. Clement Cabernet Sauvignon Star Vineyard Napa Valley 2008, Napa Valley 2008, 92 Points, $80- Very aromatic, with perfumey black cherry and blackberry fruit, cedar and cola. The body is tight and concentrated, with spicy notes of clove and cedar spice dominating the bright wild berry fruit. Finishes on a creamy milk chocolate and maple note. Spice lingers with firm tannins and a touch of mineral. Fruit is ripe and red, but spice and cola linger for minutes. 9. Hall Cabernet Sauvignon St. Helena Bergfeld Napa Valley 2006, 92 Points, $140- Lots of toffee and caramel on the nose. Cassis, dark plum and licorice notes creep in on the soft, elegant mouthfeel, building and evolving steadily into strong undertones of cocoa and dark chocolate. Smooth and steady, with a long finish. 10. Baldacci Cabernet Sauvignon Black Label Estate Napa Valley 2008, 91 Points, $65- Black cherry and dark raspberry aromas with notes of sandalwood, earthy olive and chocolate. Smooth and velvety on the palate, with perfumey cherry and cassis notes that give way to layers of oak, herbs and chocolate. Silky tannins add depth through the finish, which lingers with a chalky edge. 1. Shafer Relentless Napa Valley 2008, 96 Points, $60- Explosive, sinus-clearing aromas of crushed blackberries, floral orange peel spice, smoke and charcoal. Complex and full-bodied on the palate, delivering rich, perfumey blackberry and wild raspberry notes above black licorice and finishing with leather, road tar, smoke and roasted mocha complexities. Peppery spice creeps in late and lingers for minutes. This is thick and full-bodied, but not the least bit chewy, with everything in perfect balance. Decisively plush, with fruit dominating more than usual, and separating this a bit from spectacular prior vintages. This should become even more impressive in time. Syrah and Petit Syrah. 2. Adobe Road Syrah Kemp Vineyard Dry Creek Valley 2009, 93 Points, $45- Big rich, and beefy on the nose, with blackberry perfume and leather aromas. This is very rich and deep on the palate, with subdued blackberry and licorice dominated by briary earth, chocolate, leather and black pepper undertones, lingering long under its soft, elegant texture. 3. JC Cellars The Imposter California 2009, 92 Points, $35- Insane nose, with inky dark fruits, chocolate covered banana and brown sugar notes. Smooth and rich on the palate with tons of dark plum and licorice that leads into mulled spices, coffee grinds and mint. Lingers long with richness and complexity. Exciting. Syrah, Petit Syrah, Zinfandel, Grenache, Mourdevre, Viognier. 4. Ram’s Gate Syrah Parmelee Hill Sonoma Coast, 92 Points, $52- Lots of wet mineral and leather on the nose with barnyard earth, blackberry and cracked pepper notes. Fruit-forward with its ripe blackberry and dark plum notes laced with complex elements of chocolate, graphite and black pepper that linger well beyond the fruit. This is impressively layered and unwound for a such a deep, young wine. Velvety and appealingly earthy. 5. Martinelli Syrah Zio Tony Terra Felice Russian River Valley 2007, 92 Points, $75- Rich aromas of black cherry, blackberry, cocoa and perfumey violet. Amazingly soft and elegant on the palate, with complex smoked meat and smoky spice above rich blueberry and blackberry fruit, with exotic spices lingering for minutes. Soft tannins. 6. Landmark Syrah Kivelstadt Vineyard Sonoma Valley 2010, 91 Points, $40- Complex and earthy on the nose, with beefy bacon fat notes, smoke and candied black fruits. Cool-climate, old-world style, with wet stone mineral and leather leading into blackberry and black licorice flavors, finishing with smoky notes. Most impresive is the texture here, which is remarkably soft and velvety for a wine this thick. Finish lingers long with hints of peppery spice, and finishes with a tannic grip. 7. Martinelli Syrah Terra Felice Russian River Valley 2008, 91 Points, $45- Loads of cassis, wet stone and smoked meat on the nose. Juicy amd ripe, with dark plum, black cherry and licorice combining above peppery spice, leather and smoke. Lovely texture, very smooth and polished through the long finish. 8. JC Cellars Time Capsule California 2007, 91 Points, $50- Opaque body, with inviting cocoa powder and black cherry cola aromas. Thick and somewhat closed off initially on the palate, with dark, inky, leathery blackberry and black cherry that opens up into layers of chocolatey spice that lingers long. Very soft on the palate for its thickness. Syrah and Petit Sirah. 9. Kamen Proprietary Red Sonoma Valley 2009, 90 Points, $50- Huge, aromatic nose of black cherry, blackberry and cocoa, gaining complexity as it opens, with blackberry and licorice flavors that give way to black olive and mocha/cocoa powder. Finish lingers long with firm tannins. Syrah, Cabernet Sauvignon and Petite Sirah. 10. Cuvaison Syrah Carneros 2010, 89 Points, $35- Aromas of blackberry jam and peppery spice. Polished and juicy on the palate, with blackberry and black licorice above leathery minerality and black pepper spice that linger long. 1. Freeman Pinot Noir Keefer Ranch Russian River Valley 2010, 93 Points, $48- Lovely nose of toasty oak and perfumey violet. Luscious and exotic on the palate, with ripe, concentrated blueberry, raspberry and cherry fruit that is backed with white pepper spice and floral lavender notes. This lingers long with depth and complexity, with exotic fruit notes pumping. 2. Ram’s Gate Pinot Noir Carneros 2010, 92 Points, $40- Loamy and minerally on the nose, with notes of red currant fruit. Very silky and smooth with elegant blueberry, spicy red cherry and dark raspberry fruit above notes of wet stone, forest floor and tobacco spice. Very juicy and spicy through the long finish, and layered with impressive complexities. 3. 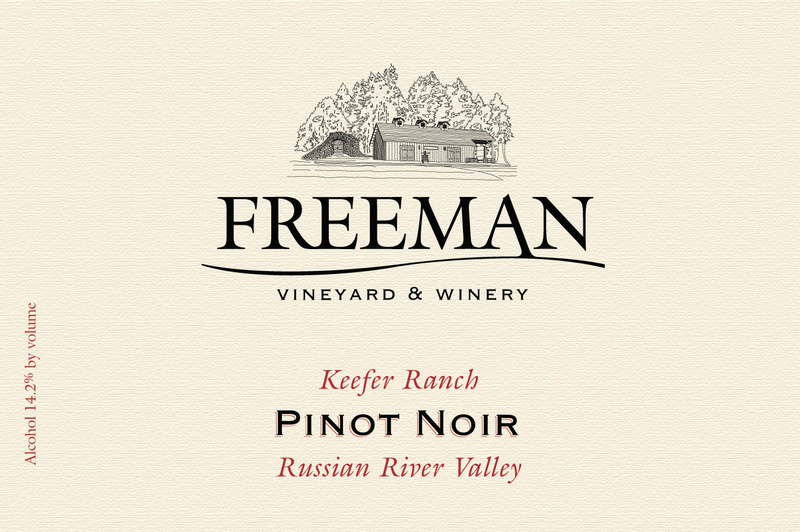 Freeman Pinot Noir Russian River Valley 2010, 92 Points, $44- Toasty aromas of wild berry fruit, vanilla bean and smoke. Medium-bodied texture of concentrated wild raspberry, blueberry and violet perfume resting gracefully above tobacco spice and lingering long with silky tannins. 4. Landmark Pinot Noir Grand Detour Sonoma Coast 2010, 91 Points, $35- Distinctively loamy, with toasty oak and red berry fruit aromas. Extremely elegant and jam-packed with juicy, ripe dark raspberry and blueberry flavors that give way to an underbelly of white pepper spice and well-integrated oak. Long finish, exotic with spice lingering. 5. Freeman Pinot Noir Sonoma Coast 2010, 91 Points, $44- Elegant aromas of cherry, floral rose petal and tobacco and black tea leaf. Fantastic texture, bursting with cranapple, wild raspberry and watermelon fruit backed with white pepper and allspice complexities. Lingers long, with silky tannins adding grip. 6. Walt Pinot Noir St. Rita’s Crown Santa Rita Hills 2010, 91 Points, $60- Juicy, with dark perfume of blueberry and blackberry on the nose. Thick and syrupy for a Pinot, but loaded with delicious blackberry, licorice and spicy tobacco. This is long and luscious, with an exotic allspice component holding together the long finish. 7. Martinelli Pinot Noir Bondi Home Ranch Russian River Valley 2009, 91 Points, $60-Intense tobacco spice on the nose above ripe berry fruit. Herbal and savory, with tons of tobacco and cracked pepper weaving through the juicy cranberry and dried raspberry fruit. Long finish, with a firm tannic grip. 8. Landmark Pinot Noir Kanzler Vineyard Sonoma Coast 2010, 91 Points, $65- Incredible floral nose, with wild berry fruit and exotic spice aromas. Perfumey violet, blackberry and black cherry combine with complex orange peel spice, finishing with stone minerals. Smooth, silky tannins linger with the fruit. 9. Walt Pinot Noir Blue Jay Alexander Valley 2010, 90 Points, $40- Tons of bay leaf, tobacco and briar on the nose above its cherry fruit. This has personality, driven but its spicy herbacious quality, but not lacking for black cherry and wild berry punch through its suave finish. 10. Landmark Pinot Noir Spring Hill Vineyard Sonoma Coast 2010, 90 Points, $50- Floral cherry and dark berry aromas, with a smoky, minerally edge. Bing cherry dominates the silky body, with subtle oak, smoke and chalk notes underneath. 1. Sbragia Zinfandel Gino’s Vineyard Dry Creek Valley 2009, 93 Points, $30- Spicy red fruits on the nose, with cracked pepper very evident. There’s great focus here, with dominating black pepper character weaving through the dark raspberry and black cherry fruit, picking up violety nuances and hints of cocoa. Incredibly long finish, with exotic peppery spices lingering long. Loaded with flavor, separating itself with a soft, elegant texture. 2. 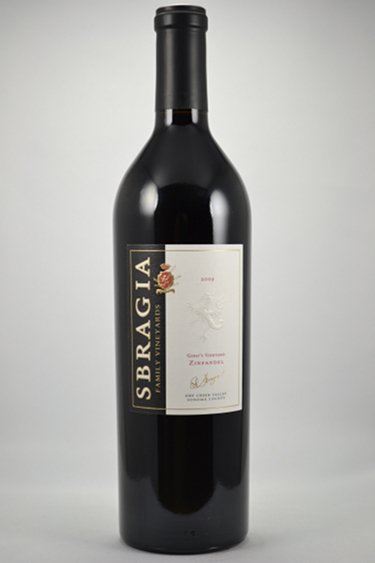 Sbragia Zinfandel La Promessa Dry Creek Valley 2009, 92 Points, $28- Deep, dark raspberry and blackberry aromas. This is thick with its dark berry fruit, layered with complex cedary spice, dark chocolate and mocha powder. In huge contrast with the Gino’s, this is deep, dark and rich, with dark chocolatey spice lingering long with a tannic grip. A monster. 3. Seghesio Zinfandel Sonoma County 2010, 90 Points, $24- Very rich and spicy on the nose, with violety blueberry and dark plum aromas accented with herbs and vanilla bean. Vivid and exciting on the palate, with rich plumcake, wild blueberrry, licorice and black raspberry flavors that carry into undertones of smokey vanilla and heavily intertwined black pepper spice. Long and juicy through the finish, impressive for the vintage. 4. Sebastiani Zinfandel Dry Creek Valley 2009, 90 Points, $30- Huge, ripe nose of plum pie and white pepper spice. Polished on the palate, with a silky mouthfeel of plum, blueberry and wild raspberry giving way to a lovely toffee note that finishes with white pepper and cinnamon spice. 5. Martinelli Zinfandel Vigneto di Evo Russian River Valley 2008, 90 Points, $45- Perfumey blackberry and fig fruit aromas. Rich and even keel, with very juicy and bright blueberry, fig and plum above white pepper spice undertones. Long finish, with spices lingering trough the soft, elegant finish. More like a Pinot in terms of texture. 1. Freeman Chardonnay Ryo-Fu Russian River Valley 2010, 90 Points, $44- Slightest hint of oak on the nose, giving way to floral citrus. Crisp, clean mouthfeel with lively, bursting acidity carrying its nectarine, passion fruit and pear flavors, finishing with almondy spice and lingering long. 2. Joseph Phelps Freestone Chardonnay Ovation Sonoma Coast 2010, 90 Points, $45- Buttery oak on the nose, with aromas of pear and golden apple citrus. Very smooth body, with baking spices and almondy pecan spice adding personality to the green apple, golden apple and pear flavors. Balanced between its sweet fruit and spice qualities. Long finish. 3. Ram’s Gate Chardonnay Durell Vineyard Sonoma Coast 2010, 90 Points, $74- Freshly toasted bread, lemon, honey and wet stone on the nose. Rich and spicy with lemon citrus bursting on the palate. Incredibly smooth and creamy mouthfeel. Finishes with a hint of rocky mineral, with fruit lingering long. 4. Ram’s Gate Chardonnay Red Label Sonoma County 2009, 89 Points, $30- Golden apple and toasty oak on the nose, carrying into a juicy mouthfeel of apple and pear. Undertones of caramel and butterscotch linger long with exotic spices. 5. Walt Chardonnay Dutton Ranch Braughton Vineyard Russian River Valley 2010, 89 Points, $50- Traces of oak above aromas of golden apple, pear and clove. Clean and balanced, with a creamy body of rich apple and pear, leading into oak and almondy undertones and lingering long.